The Port Seafood Restaurant, now Port Restaurant at the Waterfront Cebu Hotel and Casino in Lahug previously provide Ala Carte Fine Dining now offering All day Buffet dining experience and Catering or Banquet services. 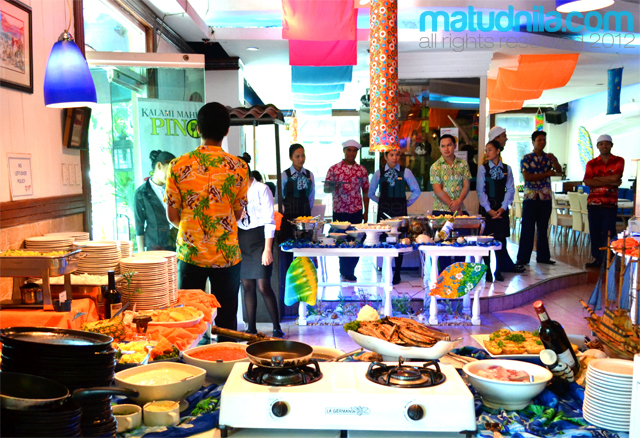 Port Restaurant is the second stop restaurant for Unilever Food Solutions Sooo Pinoy Campaign Cebu Day 2. Port Restaurant is strategically located in the Waterfront Cebu compound and in the vicinity of the Cebu Park District - Cebu IT Park, also offering late night buffet to cater BPO industry crowd. Port Restaurant showcase to Sooo Pinoy their Summer themed dish, Chicken Binakol. Chicken Binakol is a Bicolano dish is a simmer chicken soup with lemon grass (tanglad) mixed with coconut juice and other spices. 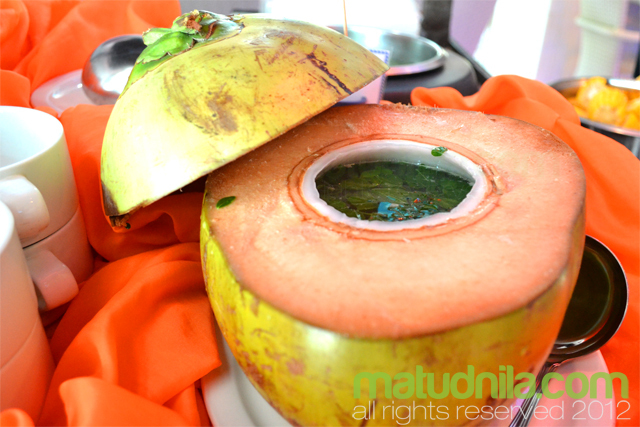 The Port Restaurant's Chef Lobingco inspired from their family favourite dish and believes the health benefits that a Macapuno can give. 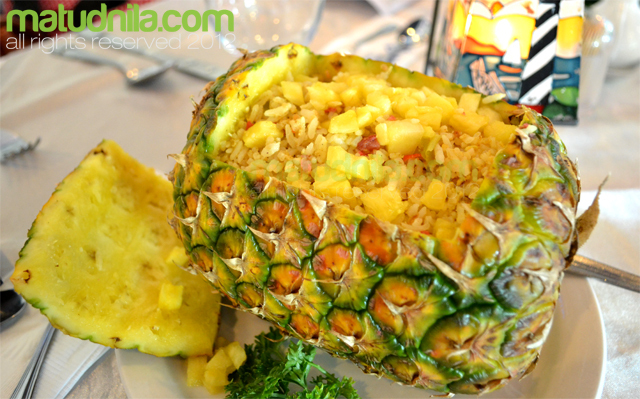 The Port Restaurant's Pineapple Rice is made from a non meat fried rice with Pineapple bits in a fresh Pineapple housing also made for health conscious buffet buffs. Some of Port Restaurant's best selling dishes Sizzling Bangus, Kare Kare and Sizzling Squid, Their Pizza and Pasta also diner's favourite. 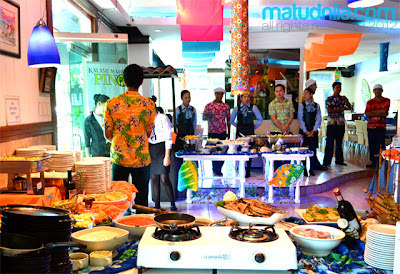 The Port Restaurant Eat All You Can and Buffet rates are Php 199.00 for Lunch Buffet and Php 299.00 for Dinner Buffet. UFS Sooo Pinoy Food Tour provides information about the most popular Filipino national and regional dishes, to know more about the campaign, like the Sooo Pinoy page on Facebook or follow @SoooPinoy on Twitter. 3 comments: on "Sooo Pinoy Food Trip Cebu: The Port Buffet Restaurant Chicken Binakol"
can we just drop by anytime for lunch or dinner without a need for a reservation?